There is excellent regional food in the area. 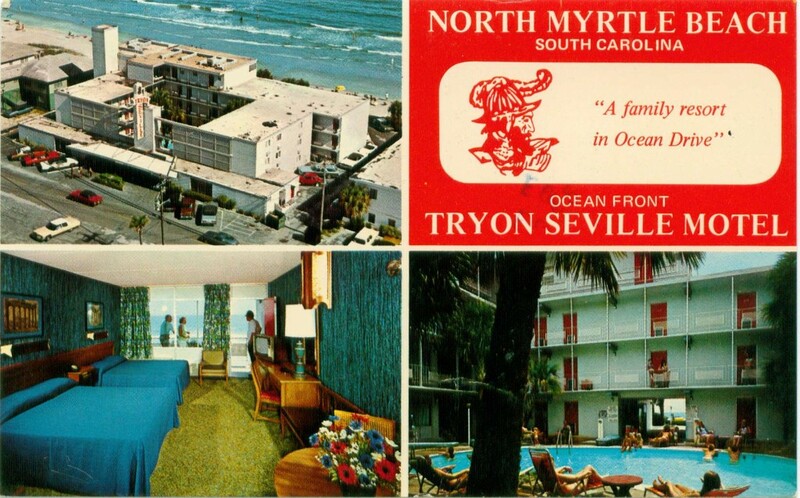 Check out Dixie Dining,Roadfood, and the Wish you were here postcards atEpicuriousfor more. Vendue Inn’s rooftop bar and terrace (23 Vendue Range, Charleston; 803/723-0485). Meat market bar with views of the harbor and historic buildings. Hominy Grill (207 Rutledge Ave., Charleston; 803/937-0930; breakfast for two $10, dinner for two $30). Start the day with biscuits, country ham, and gravy. dinner for two $20) to sample the Big Joe sandwich with Carolina Secret Sauce. On the other side of Charleston, Melvin’s brother Thomas serves his own pulled-pork version of the Big Joe sandwich at Bessinger’s BBQ (1602 Savannah Hwy. ; 843/556-1354; dinner for two $15). H & R Sweet Shop-102 Royall Ave, Mount Pleasant, SC 29464 (843) 884-2118-time machine amazing burger joint in an old cafe. Fried chicken and other southern specialties as well. Little Jack’s Tavern -710 King St, Charleston, SC 29403 (843) 531-6868-Little too fancy cocktail/gastropub-y for us at trashy travel, but the burger here is legit. Big city prices though. The Free Weekly paper is The Free Times. Rockaway Athletic Club-2719 Rosewood Dr, Columbia, SC 29205 (803) 256-1075-brick building with no sign famous for their burgers with pimento cheese. Speakeasy (711 Saluda Street – 803.255.0869) and Hunter Gatherer (900 Main Street ph: (803) 748-0540) showcase bands, more jazz but sometimes indie. Hunter Gatherer has yummy food also and makes their own beer. The Bowery-110 9th Ave N, Myrtle Beach, SC 29577 (843) 626-3445-Old trashy club with food and rock shows. Peaches Corner-900 N Ocean Blvd, Myrtle Beach, SC 29577 (843) 448-7424-Since 1937, Chili Dogs, Chili burgers and more. Sam’s Corner -7718 N Kings Hwy, Myrtle Beach, SC 29572 (843) 449-3342-Another old Chili dog joint. If you have ever driven I-95 in the south you have seen it: A wonderous place of kitch. South of the Border can’t be missed. It even has a giant Neon sign pointing to it saying “you can’t miss it”. Of course, you couldn’t miss the Sombrero Eiffel Tower anyway. Definately worth a stop. Check out the roadside america piece on them. Spazzatorium-Hmm., so this is a hard one to pin down. This is/was a cool gallery space/band venue with lots of DIY shows. Currently it appears to be closed but is soon to reopen following some fundraisers. Check the myspace. Northgate Soda Shop – 918 N Main St, Greenville, SC 29609 (864) 235-6770 Counter with pimento cheese burger, fried baloney topped with Chili called Cincinatti Steak and slaw dogs. Old Academy Bed and Breakfast-904 Hampton Street, Walterboro-843-549-3232-Four rooms, 65 to 85 dollars. Edisto Island-Po Pigs Bo-b-q-2410 Highway 174 Edisto Island, SC. 843-869-9003-cafeteria style all you can eat bbq. Old Post House(101 Pitt St., Old Mount Pleasant; (843) 388-8935-Fancy restaurant and inn with Pimento Cheese Cheeseburgers. The burgers are a bargain at $14 as of this writing. Other Entrees High 20 and 30 dollar range. Rooms are about $170 per night. Old Post Office Restaurant (1442 Hwy. 174, Edisto Island; 803/869-2339; dinner for two $60) to lick stamps. Philip Bardin serves tastier fare– pecan-coated chicken, shrimp pâté– Closes during Winter. King St., Georgetown; 843/546-1847; pie for two $4). Harold’s Country Club Bar & Grill (at Peeples Service Station (Hwy. 17A, Yemassee; 843/589-4360; dinner for two $20, no credit cards), a former filling station cluttered with pool tables, pinball machines, and auto parts. Call to reserve this very unique experience. Open only Wednesday which is hot dog day, Thursday is Pot Luck, Saturday is steak night. A ribeye is 12 bucks. outdoor music and spicy crab cakes at Frank’s Outback (10434 Ocean Hwy. ; 843/237-1777). I can’t imagine what this place is like, but it seems to be the only game in town. Of course, the website doesn’t even give the address, but its two clubs, and one has live music on Friday and Saturday. Its called Nightmoves/Xtreme. You can also head to Charlestown and Savannah, GA. The Salty Dog Cafe and Inn have been featured on the Best of on the Food Network. Caution:Dogs allowed. South Beach, Hilton Head.